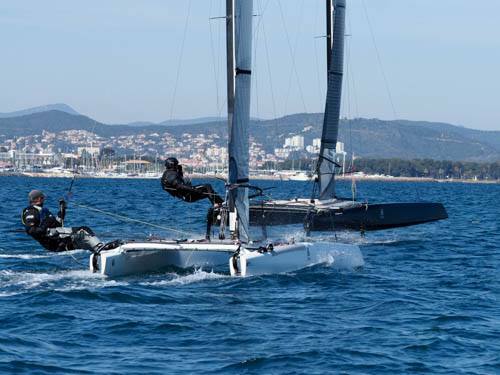 A Class Spring Cup in Hyères – 24th & 25th March. Thibault Laudren reports. 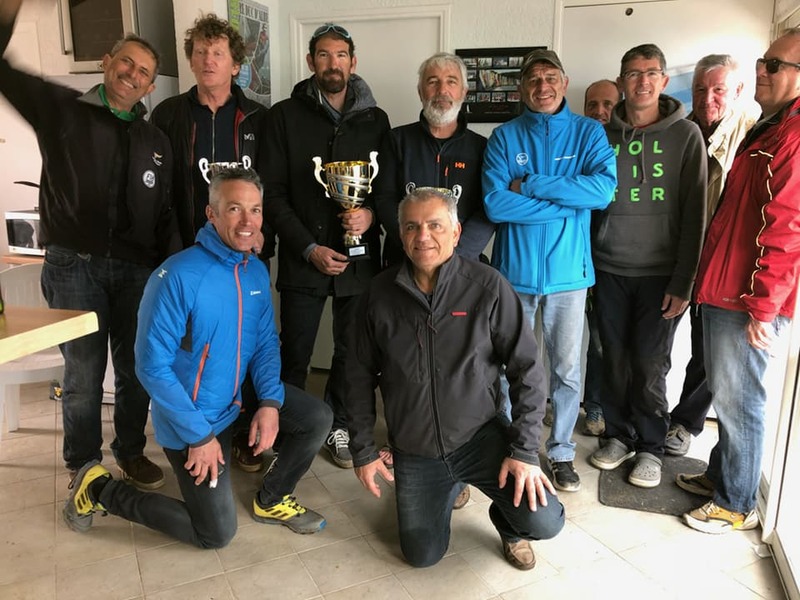 The multihull sailing club of Hyères held last week-end the first regatta of the French season on the Mediterranean coast. Despite the difficult weather forecast, a group of 10 sailors showed up for the event. While Saturday saw no racing with winds in the upper twenties and a very rough sea, Sunday provided 3 exciting races in demanding side shore and gusty conditions, with swell rising along the day. 1st start of the day in about 15 knots, dropping a bit for the second race and picking up for the last one to about 20+ knots at the top mark with swell between 1.5 and 2m high, meaning a few boats sustained damages and had to withdraw. In such conditions, the two heavy weight sailors of the fleet, Mikael Mergui (Foiling Addiction) and Vincent Capella (F1), fought hard for the lead with Mikael finally scoring 3 bullets. Not far behind, the Classic division beautifully sailed throughout the day to continuously put pressure on the foiling boats with Lionel Zerbonia in particular, a local sailor, who managed to climb on the overall podium. A great performance! That regatta concluded a productive 3 days training camp run by national Coach Christophe Favrie, A good opportunity to get back in the game after a long winter that proved well for all sailors taking part. A similar training camp debuts this Wednesday in La Baule followed then by the Cata Cap, a popular 3 days regatta that will get the Atlantic fleet starting this coming week-end.